kvance rilascia DSMZX, porting di MegaZeux su NDS. L'autore consiglia un l'uso di una slot2, così da avere più RAM disponibile e far girare meglio il gioco. This is a port of MegaZeux to the Nintendo DS. Extract it to the root of your flash card so the files are in /games/megazeux. Apply the appropriate DLDI patch. 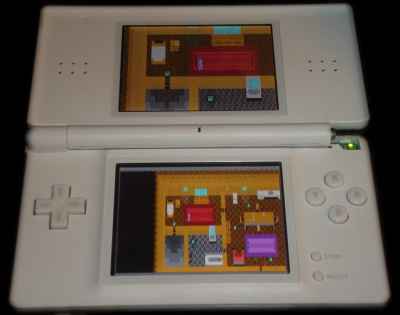 Because of the small amount of main memory on the DS, a SLOT-2 device with extra memory (e.g. SuperCard) is recommended. Without it, large game worlds will run out of memory. ciao! scusa di che tratta il gioco?